Let me share my routine. Maybe you can score a take away that will help stoke your creative fires – and make you some more money. A caveat though: I’m a licensed limo driver, and a lot of this article pertains to that. But if you are on Select, Black, Luxe, or simply have a nice Camry, you may want to take a closer look at getting a private hire license. There is a lot of flexibility and opportunity once you have it. For example, you can use the airport under your own company’s name. Airport business is the lifeblood of many limo services, and with a license you can go there with your own clients, legally. These days, I still make most of my income driving, although I do broker out stretch limo work and party bus jobs using a network of affiliates. I get the clients by using two limo sites I built on free platforms, one for the East Bay and one for the South Bay in the San Francisco area. I get the affiliates by calling up limo companies and talking to them about their inventory and pricing. I also check them out carefully on Yelp. Even before I joined UberSUV, I went ahead and got my limo license, commercial insurance and airport permit as an UberX driver. In those days, UberX wasn’t legal at the airport yet, but I didn’t want the hassle of getting a ticket. Getting these docs made me legit and I could use the airport hassle-free with Uber or my own clients. I also have real estate and other assets to protect, and I wanted the comprehensive coverage that commercial insurance affords. I carry a million dollars liability. If I ever have an incident, Uber’s insurance isn’t involved at all, I just go through my commercial carrier. 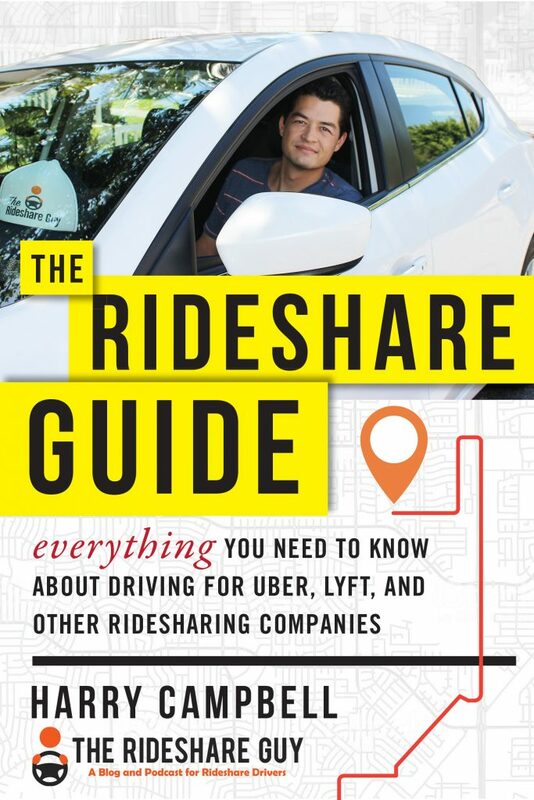 In those early days, ride-share insurance endorsements didn’t exist yet, and drivers were taking some big risks using personal insurance. Once I got the Ford Explorer for UberSUV, I added it to my limo license. I eventually gave my UberX car, the Ford Escape, to my wife. Today, I earn my livelihood through a combination of private clients, UberSUV calls and jobs from other limo companies. Luckily, UberSUV hasn’t lowered rates since I started with them back in April of 2014. They did raise rates once, though, by 10%. That was mostly offset by the commission hike which went from 20 to 25% and happened about the same time. Fortunately, they capped the number of black cars and SUVs in the San Francisco market in late 2014 so demand is still decent, although not what it was when I started in ’14. I mostly do airport work with Uber, so each job’s average payout is higher. I do about 7 total rides a day from all income streams, including 3 – 5 airports plus a small handful of cross town rides. My private clients all pay me direct, and of course, I pay no commission on that. Private client airport rides tend to be from the more distant suburbs and I land most of these clients using my web presence. Want to build up a loyal pax base? 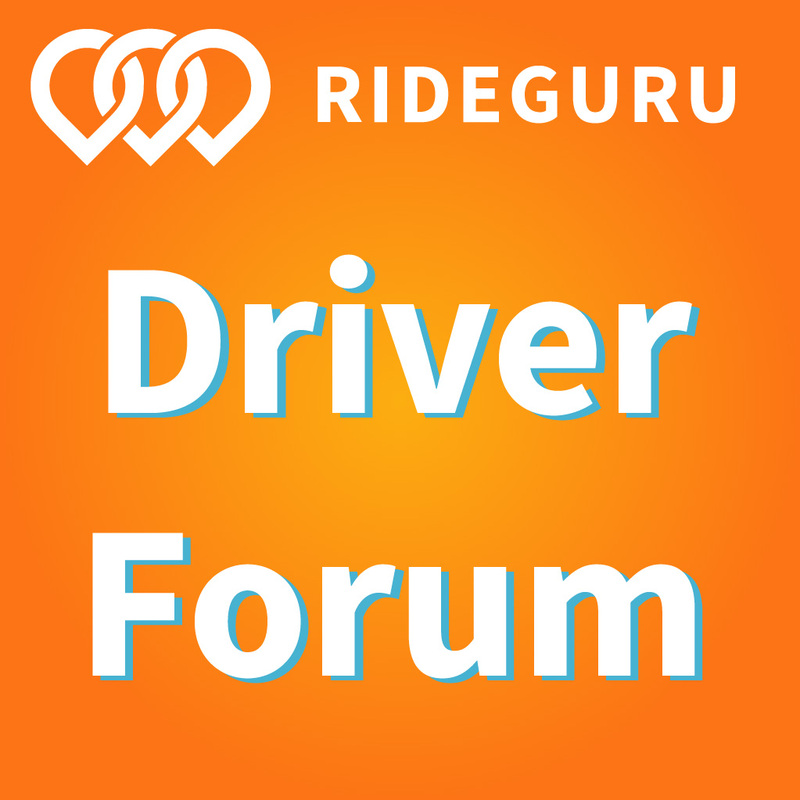 Consider signing up for UZURV, which lets pax make ride requests ahead of time and then ‘favorite’ their preferred drivers – meaning you’ll be partnered up with your favorite pax in the future. For more info, check out UZURV here. As I said, I have a couple of sites that bring in these private clients, I also get leads from ground transport lead generating services, found online (here’s an example of one), which are a great investment, and which yield a steady flow of new customers. Paying $1.25 or $1.50 for a lead when I can make $80 – $145 dollars for a one way airport or double that for the round trip is a good investment, in my opinion, even if I only close one out of 4. Many of these have turned into regulars. It bears repeating: Having private clients has been critical to my success. These clients tend to value the personal relationship and are less dependent on their phones than my younger tech savvy Uber clients who use their devices for everything. Private clients also like to tip! Need I say more? I also get work from a couple of mid sized limo companies that I’ve established relationships with. Plus I get work from the app-based companies Blacklane and Magic Bus, which only use commercially licensed carriers such as myself. I’m always checking out new on-demand app companies, but my experience is that they have a very tough time competing against Uber. Most of these competitors have a strong push in the beginning. They promote like crazy, last a few months, then quickly fade away. Blacklane is a notable exception. Like Uber, they are well established internationally, especially in Europe. All Blacklane rides are pre-scheduled, and I get offers anywhere from 1 hour to 6 months ahead of time. Magic Bus is a startup commuter pool service that does morning and evening rides for 3 – 4 riders. They work with Uber drivers and other licensed SUV drivers and limos companies with Sprinter vans. In total, I work 5 1/2 days a week. On Monday through Friday, I’m starting about 4 a.m. and finishing up by 1 or 1:30 pm. Over the last two years, I average about $40 per hour, and work 45 – 50 hours a week. I also drive about 1,000 miles a week. That sounds like a lot, but keep in mind a huge chunk of it is freeway miles in a very comfortable SUV with leather captain’s chairs, and a smooth ride. I also make sure to exercise all the time. This helps offset all the sitting. Yoga, hiking, dancing and biking are what I like. If you’re a driver who sits too much and needs motivation to exercise, read this. 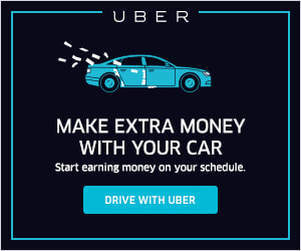 I am always tweaking my Uber strategies, and it continues to pay off since Uber still accounts for about 50% of my income. My current strategy has me doing airports on Uber from 4 am to 7:30 am. I usually average about 3 airports during this time. I then grab breakfast and do a Magic Bus run at about 8:15 am, ending at 9:30 am. The Magic Bus order comes in about an hour ahead of time. After that, I will do pre-scheduled rides from private clients, pre-scheduled rides from other limo companies and on-demand Uber SUV work. I might even flip on the Lyft app at this time if things are super quiet. Business slows down a lot after 10 am, so it’s good to have multiple streams of work from many companies to keep me busy till 1 pm. Come Sundays, I get a lot of groups and families on Uber SUV, going for cross town rides in the city. I still do the occasional airport run, but the focus shifts to tourists and locals going on outings in town. I would think Uber XL does well also. I typically go out from about 11 am to 4 pm, which is when the bulk of the Sunday traffic occurs. What’s Changed Over The Last 4 Years? The biggest change I’ve seen over 4 years of doing rideshare is the number of UberX cars on the road. I am still amazed at the sheer number of cars I see on the freeways, at the airport and even in the suburbs where I live with Uber stickers in the windows. The growth has been exponential. During my very first job interview with a ride-share company 4 years ago at Sidecar, (now defunct), they asked me if I’d ever heard of Uber. I had to admit I had not. Now, I doubt that there is anyone left near a large city anywhere in the country, or the world for that matter, who doesn’t know all about them! Online marketing efforts I make under my own private label. This includes my own websites, email marketing, buying leads and social media outreach. I’ve also done coupons or ads on Groupon, Thumbtack and Living Social. You can set up a page with Yelp, create a Google maps listing, a Twitter account, a Facebook page, a You Tube account, the list goes on and on. My neighborhood has a Yahoo group with a couple of hundred families who subscribe. I periodically run a blurb in it, or a special. I get a good response. Once you really get into it, you will start to find all kinds of places to promote your business’s name. Many of them are totally free. 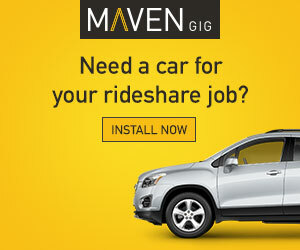 I sign up for other black car apps and with traditional limo companies that pay good rates. These are an important source of business. Get out there and research them and apply to as many as you can. Or go to trade shows and meet reps from limo companies there. These shows are designed with networking in mind. I share what I do with friends, acquaintances and other professionals – travel and tour guides, hotel concierges, etc., anyone in the travel business. Give them a card, learn about their business a little, and refer biz back and forth. No one source overwhelms me with work. But taken together, they develop a synergy and make a good addition to what I’m already doing with Uber. I set my own rates for my private clients and pay no commission. I like 0% commission jobs. A lot. In conclusion, let me suggest one more thing. Attitude is everything. Share your positivism with riders, prospects, colleagues, and remind yourself to stay creative. Because when you are going pro, a great attitude builds confidence and portends good things. Things will go wrong sometimes. A flat tire, bad traffic on the way to a pickup, a misunderstanding with a passenger. Deal with it and move forward. In times like that, powering through it and staying upbeat creates a big impact on your outcomes. When life throws you for a ride, staying positive and being solution-focused will help you stay ahead of the curve! Readers, what do you think of the Black Car Guy’s strategy and how do you plan on using it for your business?